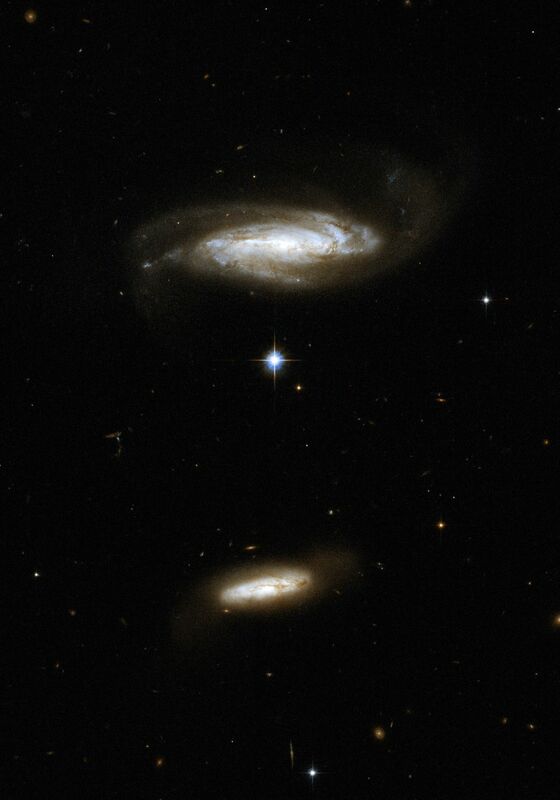 IC 2810 is a disk galaxy viewed nearly edge-on. It is slightly disturbed by gravitational interaction with a smaller, dusty companion (located to the bottom of the image). The larger galaxy shows blue knots of star formation. Although the pair has no overlapping region at present, it is possible that the two will eventually collide in the future. IC 2810 is located in the constellation of Leo, the Lion, about 450 million light-years away.